What Does the Word “Artisan” Mean? Kristy Leissle, PhD, known to many as Dr. Chocolate, is faculty in Global Studies and African Studies at the University of Washington Bothell. She researches and writes about the global cocoa-chocolate industry, especially West African agriculture and contemporary craft makers in the US and beyond. We’re big fans of Dr. Leissle, and thrilled to feature her voice on our blog. Below, she looks at the origin, power, and uses of the word “artisan,” and asks: What does it really mean? Who created this food? What were their priorities? Where are they and when did they harvest or process the food? How and why did they do that? Around the same time that these questions began to get more public attention, I noticed the word “artisan” appearing more frequently: most often on food packaging, but also in newspaper and magazine articles about food – especially food that was locally grown or made, and sold by someone who had been part of that process. Loaves of bread were artisanal, as were cheeses, pickles, jars of jam, sauerkraut, and cuts of meat. “Artisan” was everywhere, attempting to communicate…something. What I didn’t understand was exactly what it was trying to say. My interest in finding out led to a three-year research inquiry about the meaning of “artisan” for chocolate. This post is among the first publications of my findings. Historically, the definition of an “artisan” was specific, and concrete. Before the Industrial Revolution, “artisans” were a defined socio-economic group in Europe comprised of people who had reached a certain level of skill. To become an artisan, a person – almost always, a man – first had to be admitted to apprenticeship, either with a family member or acquaintance, or in a guild. Even then, the apprenticeship was long, and entry to “artisan” rank was tightly guarded. The apprentice worked towards mastering a craft: the ability to replicate a product precisely and reliably. 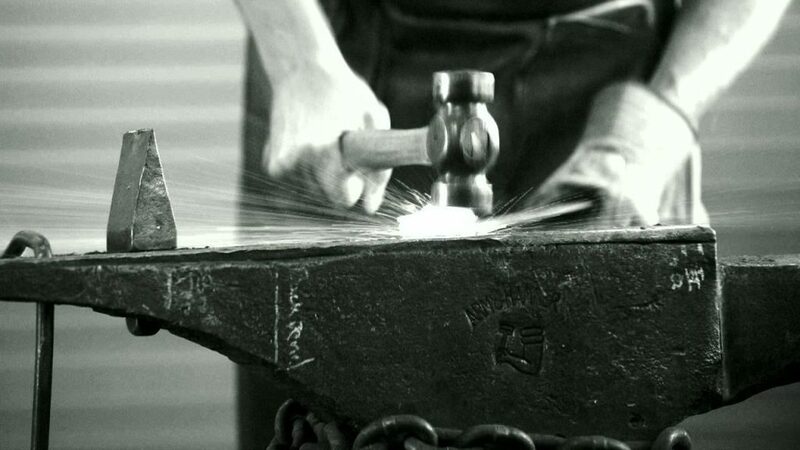 Only when the trade master was satisfied with the apprentice’s skill level would he be awarded the title of “artisan.” The level of skill and quality required of artisans meant that consumers knew they could trust what those artisans made—including shoes from cobblers, wares from a blacksmith, and more. For the most part, “artisans” made things that people could not make for themselves, like horseshoes and work boots. For the many pre-Industrial peasants who grew and processed their own food, there was hardly such a thing as artisanal food. As you can probably guess, the historical definition of “artisan” doesn’t exactly correspond to our contemporary ideas about what the word means (consider: artisanal yogurt, French fries, shampoo). The old, concrete definition contrasted with my research findings, which were wholly inconsistent. It seemed that chocolate makers who used “artisan” on their packaging were trying to communicate a variety of things. Some used the word to convey a sense of history, others to indicate process (such as hand-wrapping bars), but mostly they suggested a host of different meanings, none of which pointed to a common “definition” within the industry. In these cases, “artisan” signified a range of things: for example, that the company was family-run, used local ingredients, or made chocolate that tasted delicious. My findings confirmed the hunch I’d started with: “artisan” had become a “floating signifier” in the world of chocolate marketing, which is to say that it had no stable referent in the real word. Compared to, say, “bread,” which consistently refers to a baked, edible, grain-based loaf, “artisan” didn’t refer to anything fixed. Chocolate makers used it loosely, in whatever way fit their story. The consumers I surveyed had more consistent ideas about what an “artisan” is and does. Most of them defined “artisan” as someone who understands chocolate’s flavor and texture, and only a few linked “artisan” to a level of training or skill. Most of them associated the word with quality in a way that pitted “artisan” against “industrial” chocolate. Despite what seemed to be a pattern, even consumers were not totally consistent: when a question included an option to define “artisan” as a handmade process, respondents chose that, over any reference to flavor. Overall, it seemed there was hardly any agreement to be found, especially between chocolate makers and shoppers, about what the word meant. At first, I interpreted that loss of meaning in a negative way. Chocolate makers weren’t answering important questions, or really saying much, by calling themselves “artisan,” and something about that felt disappointing. I thought it would have been more powerful to find that makers were using “artisan” to refer to something defined and distinct: maybe the company had only a few workers, or maybe their craftspeople had mastered every step of the chocolate-making process. It seemed to me that “artisan” needed a fixed meaning to have any power, in marketing or otherwise. If all or even most chocolate makers had offered a consistent definition, consumers would have specific, verifiable information about the product they were buying. 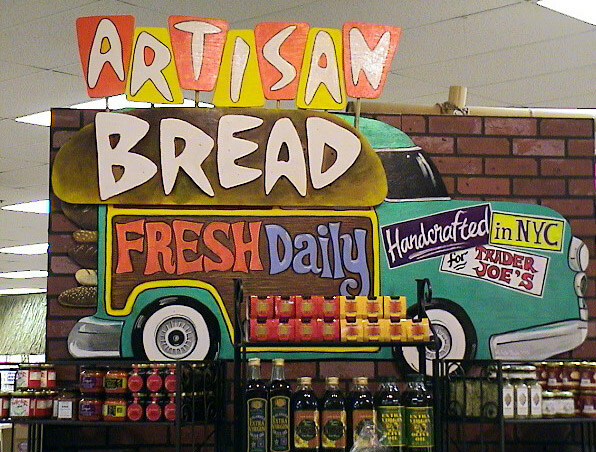 But these days, “artisan” could mean anything, which is to say it means nothing at all. In my mind, the loss of meaning was a loss of power. But then, I realized that it wasn’t. Though chocolate makers offered different ideas about the word’s meaning, nearly all companies that used “artisan” to describe their chocolate did something equally as important: they told their story. On websites, at festivals, even on packaging, “artisan” chocolate makers shared many stories, about themselves, their processes, and their motivations. Regardless of its content, the fact of sharing this background or context seemed to add an indefinable value to the chocolate. Instead of offering a fixed meaning, “artisan” seemed to be a way of saying, “At this chocolate company, we can answer your questions about this food.” By using the word, “artisan” chocolate makers were making it clear that they were real people who cared about the food they made and could talk knowledgeably about it. If consumers wanted to know more about the chocolate they were buying, the “artisan” was there to share their expertise. In doing so, “artisans” set themselves implicitly against an anonymous factory of machines that churned out anonymous chocolate bars that told only the fictional story of a brand. This is, I believe, the same suggestion that consumers were making when they responded with “industrial” as the opposite of “artisan” chocolate. Instead of the historically fixed and universal meaning of “artisan” as someone who had achieved a master skill level, “artisan” now confirmed that real-life individuals were behind each chocolate bar. 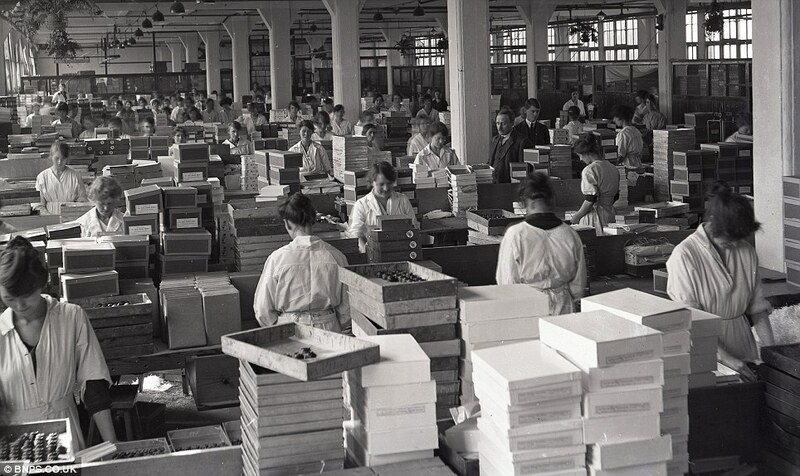 Factory machines did not dominate the process, people did. One maker may use “artisan” because she prioritizes bringing out a certain, delicate favorite flavor profile with each batch, another because he is constantly experimenting with new inclusions, creatively pushing the “known” boundaries of chocolate’s flavor and texture. Some use it to express motivations. The word “artisan” applies to both those who make chocolate because it fulfills a need to work with their hands, and to those who want to work side by side with loved ones. I discovered that a word with variable, unstable meaning can have more power than if it had a fixed meaning, because the people who use that word can wield it in different ways. In the case of “artisan,” consumers don’t seem to need a fixed meaning; the general feeling that it conveys, of real-life individuals making chocolate bars, seems to be enough to create trust. That different stories converge upon the word is certainly a break from its historical definition, but that variability seems to work in the makers’ favor. Today’s new chocolate represents a shift away from the predominance of abundant, cheap food in the 1950s, and the word “artisan” communicates something of that shift to consumers. I think it tells us that the maker desires a more meaningful relationship with their craft than industrial monoculture and huge factories allow. By purchasing “artisan” chocolate, consumers are indicating that they too support an ethos of knowing one’s food, regardless of what particular meaning the maker evokes in his or her story. Though chocolate makers and chocolate shoppers may not always agree on what “artisan” means, it nevertheless represents an agreement – a signal between them – that they are both reaching for meaningful food. And that is indeed a promising new beginning for the word. Further results of my findings are forthcoming in the journal Food, Culture and Society. ← New Pastry: Fig Tart! Maybe the ‘loss’ is due to that of language ie It is an English word with there being no ‘language’ in America. I think Artisan maintains its meaning in England and Europe, and is corrupted in America, as much ‘English’ is. 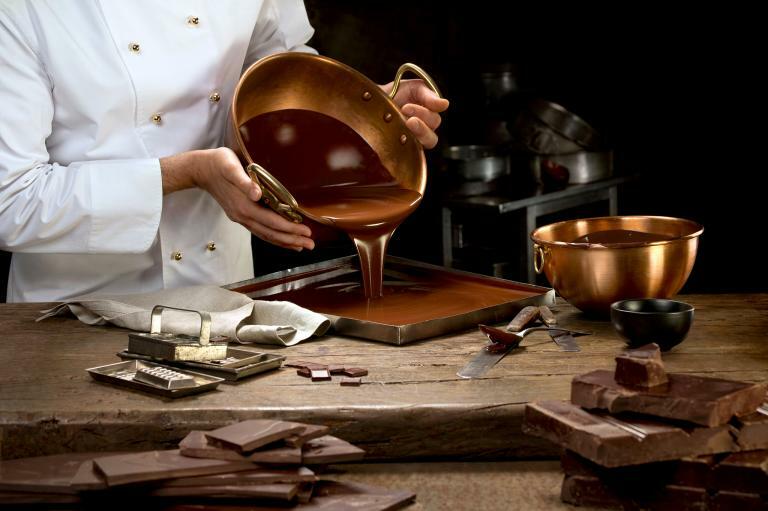 For me, the meaning of artisan when used in making chocolates is more like a personal craft. I can define it as a personal creation by individuals dedicated to that craftmanship. I plant my cacao trees ffom seeds, grow and nurture the trees myself, pick the fruits myself and create a brand of chocolate myself. That is the time that I can call my chocolates artisanal. As a different type of “doctor chocolate,” (a physician/chocolatier) I found this fascinating. While I realize the study was related to chocolate makers, it does seem to apply to we chocolatiers who source chocolate from chocolate makers, then create “artisanal chocolates.” (The “s” meaning the end product is a confection.) I’ve called my creations “artisanal chocolates” for years, and sure enough haven’t given it a whit of thought until now. Thank you. I realize I’ve used “artisinal” as a self-referent not in its original meaning (as I suspect compared to a Belgian or French master chocolatier I would be a slovenly apprentice not worthy of a crust of moldy bread as compensation for my labors), but to connote that my pieces are crafted as an artist crafts her/his work, that they are hand-made by a human and that all the elements (ingredient selection, look, taste, etc) are specifically chosen with the goal of causing a specific, enjoyable consumption experience, rather than with regard to operational efficiency or cost-containment. Now I wonder if I’ve conflated the concepts of “artistic” and “artisanal” and will lose some sleep pondering this. Fascinating to consider whether I should continue my practice, or re-label my work as “Chocolates crafted by a sorta good apprentice.” Thanks again for an intriguing read. Thank you, B. Mann, for such a thoughtful response to this piece — and I hope that you are by now sleeping soundly once again! Your comments about the “art” that is also inherent to “artisan” point to a major aspect that I did not study for this particular piece. While there is certainly an art to making bean-to-bar chocolate, and some of those makers may identify primarily as artists rather than engineers (or both equally), confections such as those you make do bring the “art” element more to the fore than perhaps bars do. I’m not saying that bars are not artistic, because they are (and certainly the packaging is an art form itself), but confections have a much wider variety of shape and color and sparkle that make their artistic aspect central to the experiences of making, selecting (from a showcase, especially), and consuming them. Because as you say I was studying bean-to-bar makers for this particular work, I did not focus on the “art” aspect nearly as much as I would have had chocolate confectioners been my main study. This is something I will definitely consider for my next research phase! If we were to look to Europe’s confectioners, we’d see that the art aspect is CENTRAL to being an artisan. I imagine that in this branch of the chocolate industry, conflating artistic and artisanal, as you say, is not only accepted but expected. And anyway, it doesn’t matter what the Europeans do – what is important is what YOU do as a caring creator of beautiful chocolates. That is your story of being an artisan.